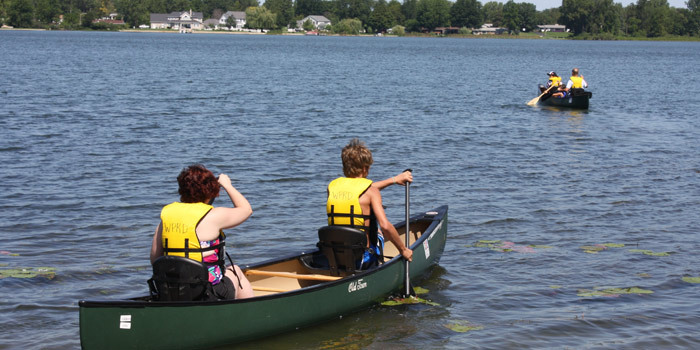 WARSAW — The city of Warsaw Parks and Recreation Department is offering free Community Canoeing from 11 a.m. to 4 p.m. Saturday, July 11, at Center Lake Beach, (east side of the swimming pier, behind Pavilion). No registration is required. An annual waiver and rules sheet must be signed by each participant, (must be signed by parent for anyone under age 18). Canoes are available for community use. Canoes are first-come, first served and may be used in timed increments. All equipment and life vests provided. All participants will be briefed on safety measures prior to canoeing. All canoeing will be supervised by staff. Don’t miss out on this exciting opportunity to enjoy the outdoors, sunshine, and Center Lake while learning to navigate a canoe. The next Community Canoeing dates and time are: 11 a.m. to 3 p.m. Wednesday, July 22; Tuesday, Aug. 4; and 11 a.m. to 4 p.m. Saturday, Aug. 15.